Inf() function is used to show the positive infinity if sign >= 0, negative infinity if sign < 0 of the given input (x – parameter) in Go language. 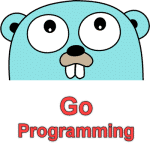 The standard math package of Go programming language has Inf() function. x – Where x is any Valid int Input value (positive or negative). This parameter is required. If the x parameter is not a number (numeric value) Inf() function returns an error . Inf() function will return positive infinity if sign >= 0, negative infinity if sign < 0 of the given input(x – parameter).